Burke & Associates prepares hundreds of tax returns for individuals, sole proprietors, LLCs, S Corporations and C Corporations. Our staff is knowledgeable in all aspects of tax preparation, ensuring that our clients receive all tax deductions they are entitle to. Returns are prepared based on the information provided to our office from our clients, with supplemental information requested by our staff when clarification is necessary. 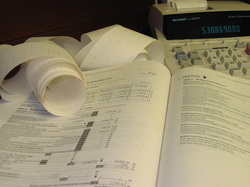 All clients are provided with a tax organizer to assist in the preparation of return materials submitted to our office. We use professional judgment in resolving questions where the tax law is unclear, or where there may be conflicts between taxing authorities' interpretations of the law. Our office is also available for the filing of extensions when a complete tax return is unable to be timely filed.